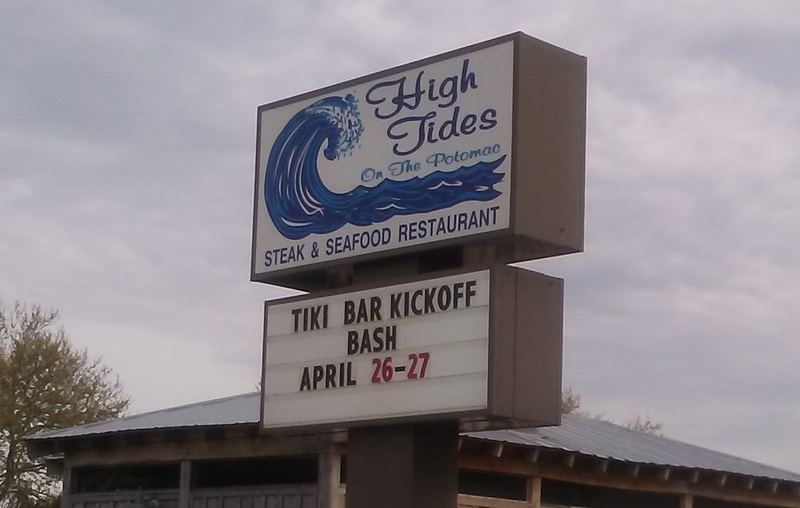 The Black Pearl Tiki Bar is right next to High Tides on the Potomac steak and seafood restaurant. 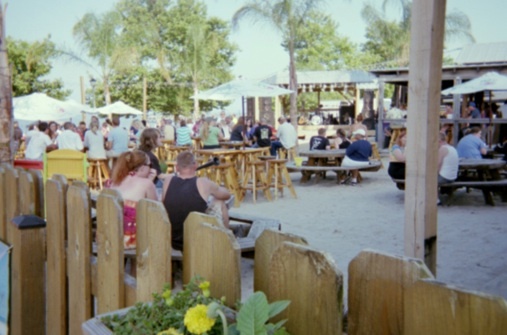 Bands who performed at the restaurant used to have to play from a small corner of the outdoor dining area's deck. Soon, construction began in the parking lot, thus providing a lot more space for both the bands and the customers. 2013 saw the addition of The Grill! A fabulous outdoor kitchen serving up some tasty morsels. Australian rockers LONGREEF typically perform during Potomac River Festival Weekend! The "floor" is all sand, and there are tables, chairs and benches facing the stage area, overhead lights for nighttime concerts, a full bar, a quick bar where you can grab a beer, a sandy play area with toys for the younger ones, and fantastic views of the Potomac River. and the Boardwalk. 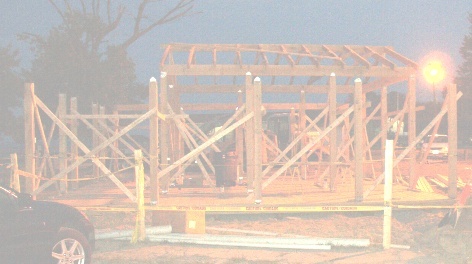 Many thanks to my niece Natasha for snapping the photo above of the Black Pearl Tiki Bar under construction. I have been able to see many bands play here, including Kashmir, a Led Zeppelin tribute band, Think Pink Floyd, another tribute band as well as a few other great acts. You can see bands here on Friday and Saturday nights and on Sunday afternoons during the Summer, which usually kicks off in May at Memorial Day weekend. The stage at faces the restaurant, so even folks in the outdoor dining area as well as parts of the boardwalk can enjoy. Overhead strings of lights provide some great mood lighting. This is a fun place to dance in the sand while listening to a band!